Boiled Alive! 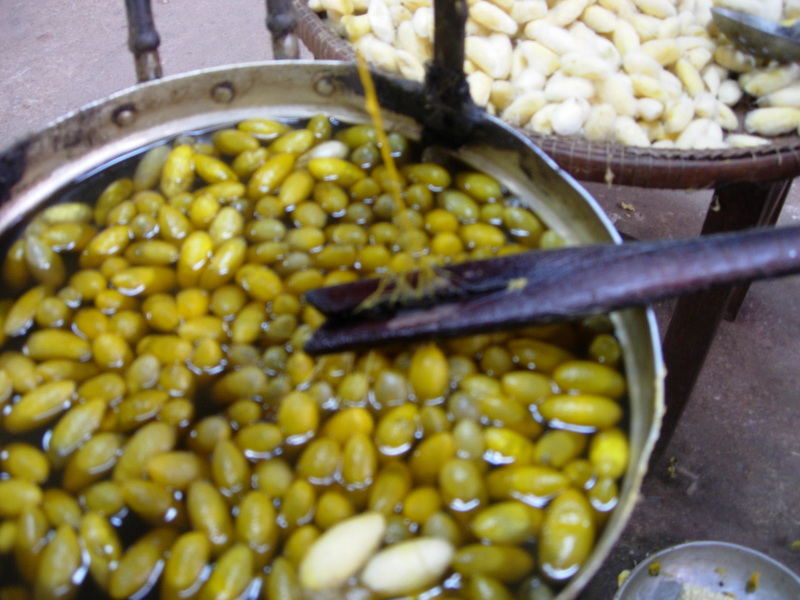 The Making of Silk. 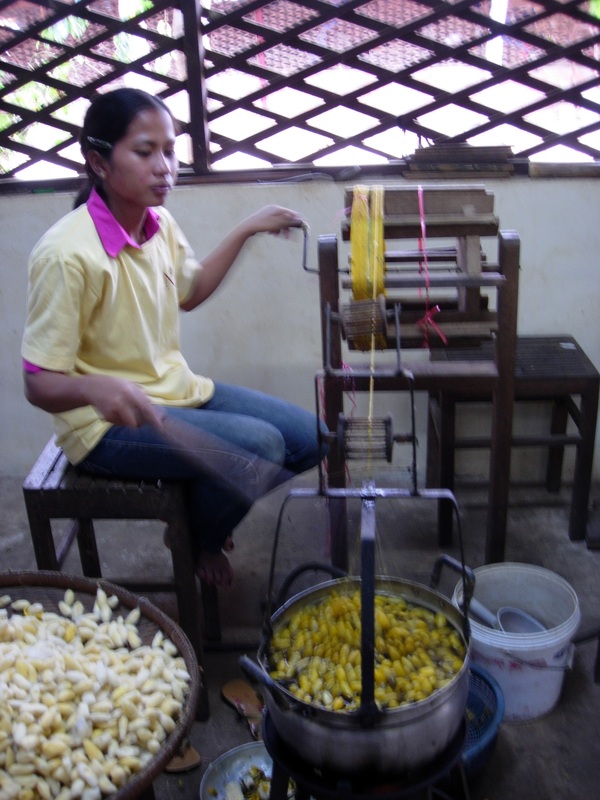 In my January trip this year in Siem Reap, Cambodia, one of the more interesting side trips was a visit to the silk farm run by the Ecole Les Chantiers located a few kilometers from the center of town. After three days of exploring the Angkorian temples in and around Siem Reap, we were ready for something a little different. Our friendly remorque driver suggested the Silk Farm. Fortified with some bread, we headed to the farm on a sunny day. It was glorious not to have to wake-up early. On arrival, we were greeted by a guide at the entrance. He seemed very gracious and we were too embarrassed to ask if his services were free or if we were required to have a guide. We just assumed the latter and since there was no entrance fee, we also assumed we had to give him a tip. 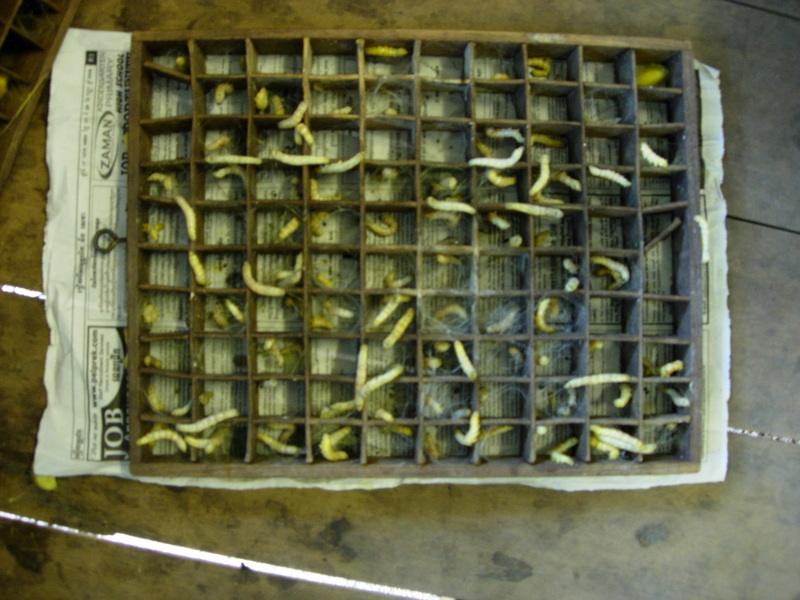 We started at a small room where the worms were after which we were led to a large room where the different stages in silk production was showcased. 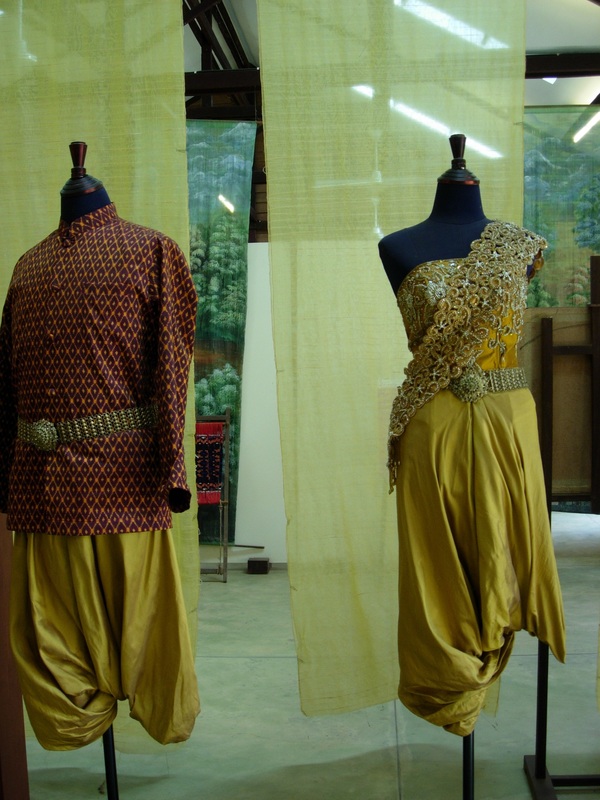 What truly amazed me was not how strong the thread was nor how beautiful and varied silk could be woven into but how the the silk was actually harvested from the worms. I have always imagined worms weaving the silk threads quietly in peace like spiders building their elaborate webs. They would be housed in little boxes and spend the rest of their life weaving the threads. People would simply gather those threads and process them. It was a serene life. Not. What I saw as the opposite. It was something more horrifying. The worms are indeed places in pretty boxes. 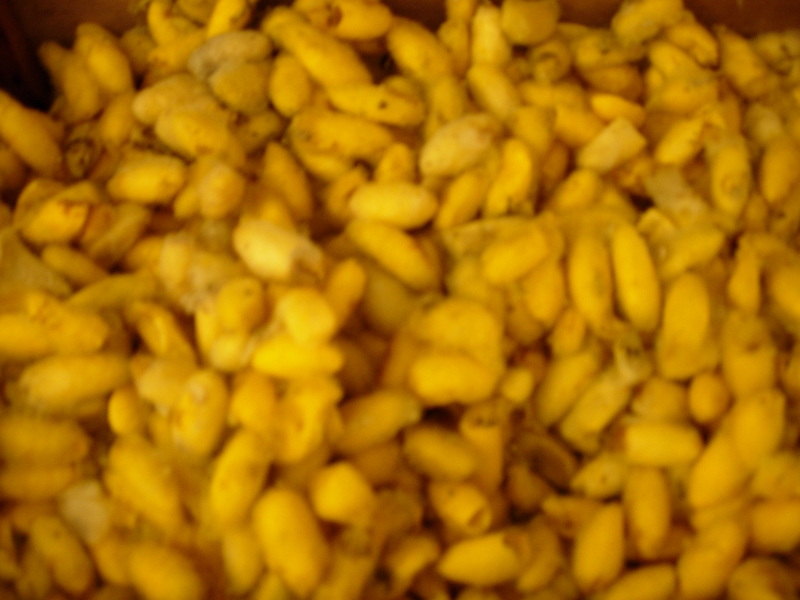 They are fed their daily diet of mulberry leaves to keep them fat, strong, healthy, and happy. As soon as they start weaving their famed threads, they sign their fate. 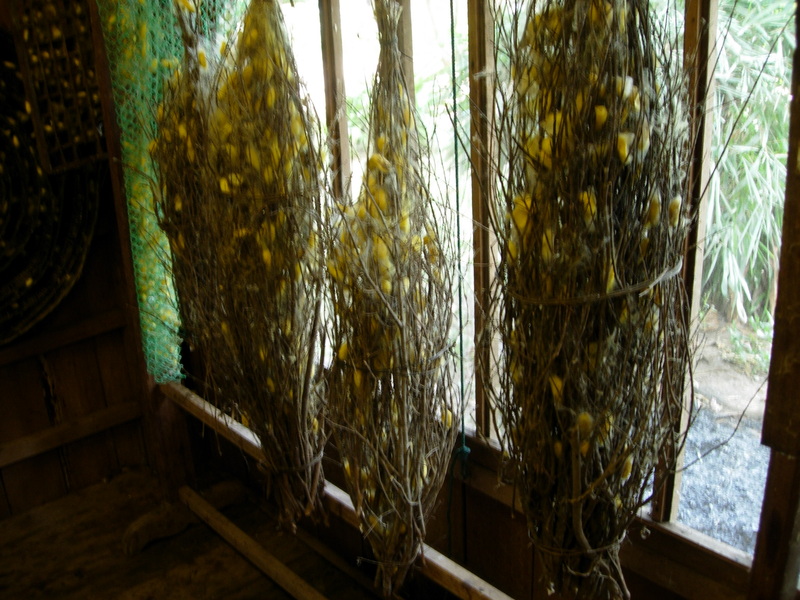 They weave a beautiful yellow cocoon around them. Now, everyone knows that when worms weave cocoons they’re supposed to sleep so they can grow to be something else, just like butterflies. 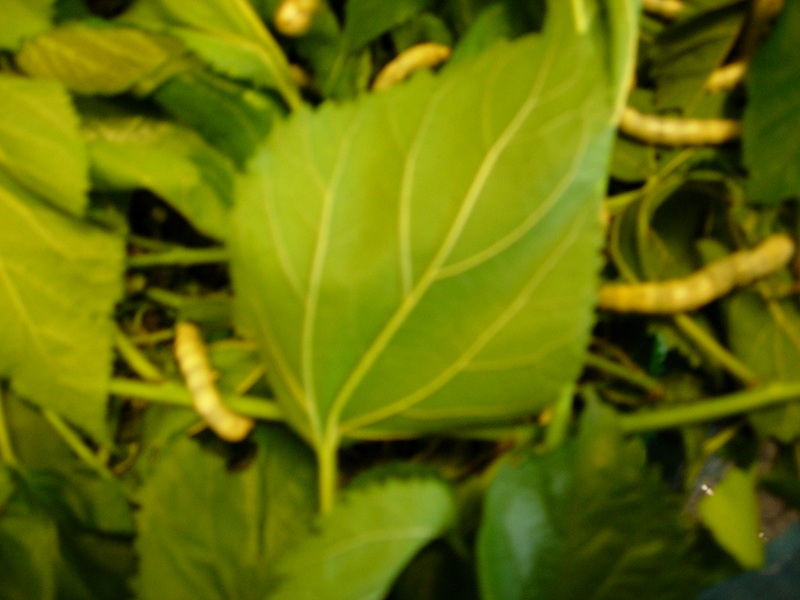 I forgot to ask the guide what silk worms turn into if they are allowed to continue their life. Then it happens. The worms are actually thrown in a pot of boiling water! As the pretty yellow cocoons bob up and down on the hot water, I could almost hear the worms screaming, “It’s so hot in there! Get us out!” as they struggle to escape their prison of a cocoon. 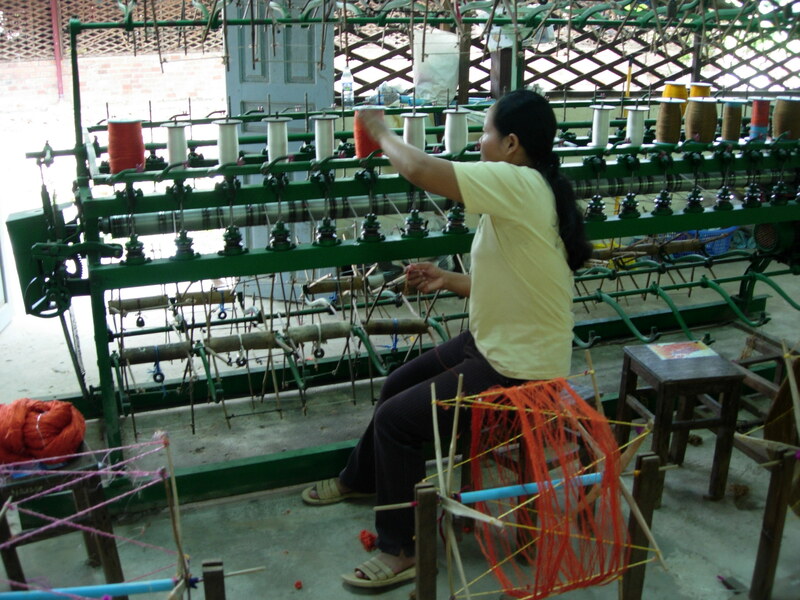 Meanwhile, a woman swishes a long stick in the pot and gathers the silk threads that unravel. 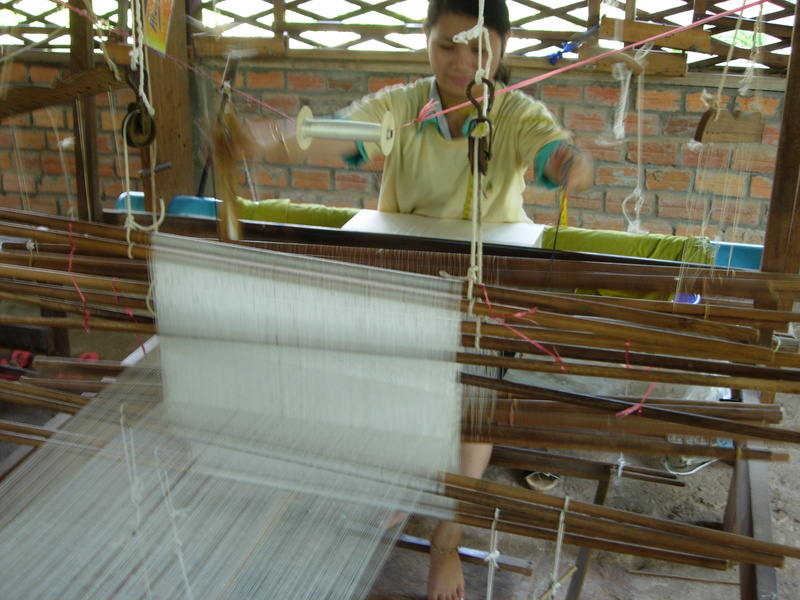 She rolls and rolls the silk threads which are actually very strong. These are then left hanging to dry ready to be processed. They are dyed and spun into threads. 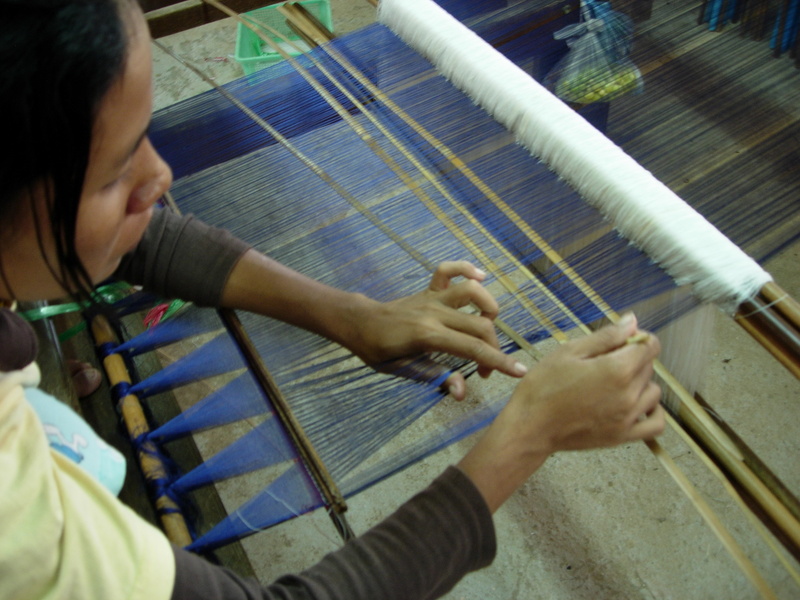 Using looms, they are woven into beautiful patterns. Not all the worms are unlucky to suffer flames of hell. Some our left to for breeding more worms destined for the boiling pot. These are the breeders whose generation of worms keeps humankind clothed. And by the way, the we tipped the guide $2 and it was worth having one as he thoroughly explains everything.